Amal Clooney has finally given us a glimpse inside her married life with George Clooney. 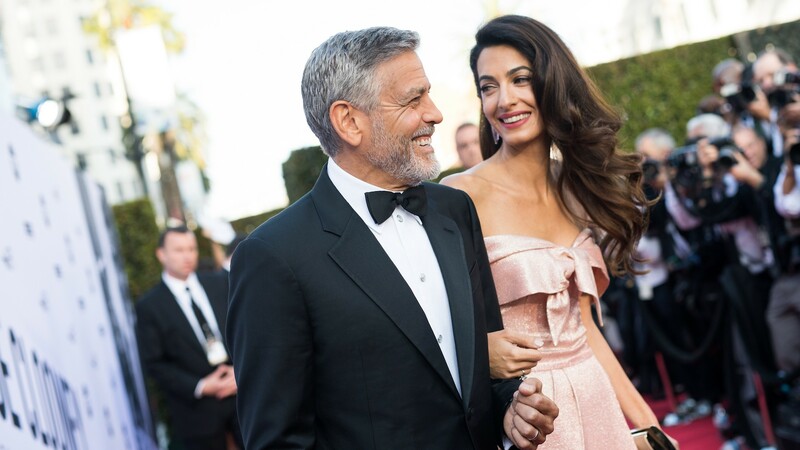 The notoriously private couple stepped out on Thursday in Los Angeles, where George was honored with the American Film Institute’s lifetime achievement award. During the ceremony, Amal took to the stage to speak about her husband. Her words will only make you fall more in love with the couple. And for those single ladies and gents out there, they will also inspire you to remember that love can happen at the most unexpected times. The Clooneys first met through a mutual friend in 2013 at George’s home in Lake Como, Italy. George reportedly chased and courted Amal for months before they began dating. Amal and George were engaged after six months of dating. They married in September 2014 and welcomed their twins, Ella and Alexander, in June 2017. We’re not crying, you’re crying. Pass the tissues.